There was no better job, anywhere in the world, than working in Record City in New York in the early 80s. . It was a huge mess of a shop. Acres and acres of second hand vinyl and cut outs. In the basement were rows of singles, in the mezzanine was jazz and soundtracks. On the main floor was everything else. Record City, like all good record stores, was only peripherally about selling records. It's primary function was as a safe haven for outsiders and loners, a place where taste was discussed and formed. A place to listen to Ornette Coleman and Morton Feldman and Burning Spear. To Betty Carter and Conway Twitty and The Art Ensemble Of Chicago. A place where people tried to be different. During the two years I worked in Record City I sold records to David Byrne and Brian Eno (they bought the entire African section), to Prince Paul, to Shel Silverstein (he lived upstairs), to James 'Blood' Ulmer, to David Mancuso from The Loft. At Record City each employee had a section below the counter where we hid our own stash. Records came in and were immediately claimed. My section, in the beginning, contained mostly country, reggae and jazz. 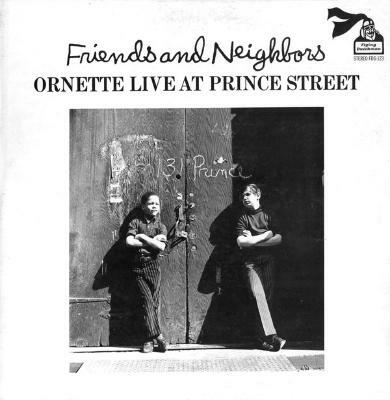 I remember grabbing a sealed copy of Friends And Neighbours by Ornette Coleman and thinking: what the hell is this? I played it at the record shop constantly until someone hid it. It was the freest, most exciting thing I'd ever heard.